Pulitzer Prize-winning author Doris Kearns Goodwin doesn’t just talk about history. She takes her audience on a word picture journey through time, giving wings to funny facts and deep insight into many of this nation’s presidents. 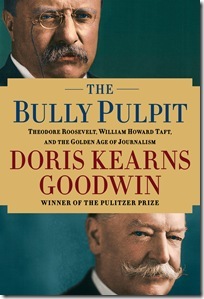 After giving Taft and Teddy their due, she offered the audience, thirsty for more information from the diminutive lady from Concord, Mass., a look back at her involvement in the making of Steven Spielberg’s film, Lincoln, based on Goodwin’s book, Team of Rivals: The Political Genius of Abraham Lincoln, a volume that was 10 years in the making. She helped mold Lewis’ portrayal of the 16th president, taking him to Springfield, Ill., to get a feel for the place Lincoln called home in his adult years. The actor morphed presidential, using a high-toned voice and laborious walk said to have typified the nation’s lanky leader. Their wives were equally dissimilar. Edith Roosevelt, literary and reclusive, helped rein in her impetuous husband. The politically astute Nellie Taft was the goad for her introspective, introverted hubby. Goodwin also dealt at length with the so-called “dream team” at McClure’s magazine. Publisher Sam S. McClure assembled a staff of prominent writers with recognizable names. Among them was Ida Tarbell, who crafted a 12-part series designed to skewer John D. Rockefeller’s Standard Oil monopoly. Afterward, the government broke the singular giant into 38 companies, said Goodwin, including Exxon, Mobil and Amoco. Others in the McClure magazine bloc also plied their journalistic freedom. “Lincoln Steffens toppled many politicians,” Goodwin noted. William Allen White was a renowned newspaper editor, politician and author who became the voice of Middle America. Ray Stannard Baker reported on turmoil in the labor unions. 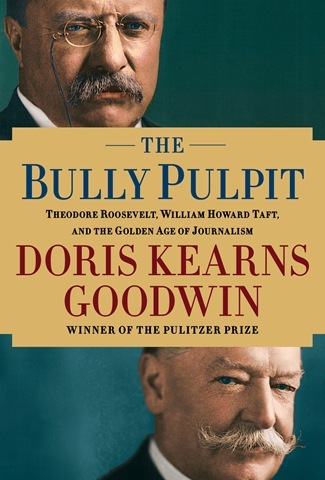 When Taft succeeded Roosevelt as president, the nation lost the bluster and political confidence of the former “Rough Rider.” Goodwin said Taft didn’t have the speech or leadership skills that Roosevelt brought — and he knew it. Gone, also, were the days of reformist politicians working in tandem with crusading journalists. 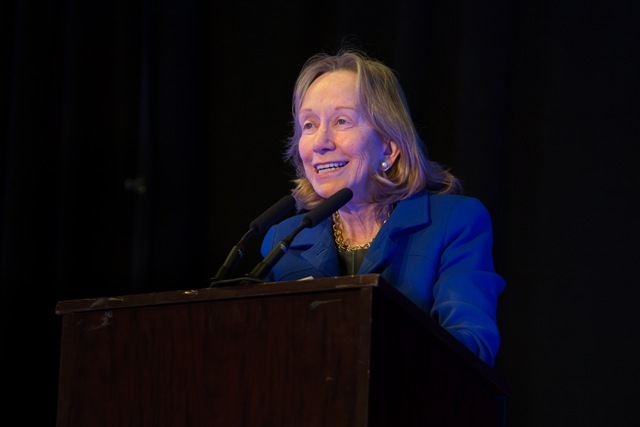 Something of a crusading journalist herself, Goodwin said she launched her career in 1967 as a White House Fellow during the Lyndon Johnson administration; she later joined his staff. She has written about LBJ, John F. Kennedy and his family and Franklin and Eleanor Roosevelt, among others. A Boston Red Sox fan, she consulted on and appeared in Ken Burns’ 1994 documentary, Baseball.